Reinforce the idea of civic responsibility with your kiddos! Encourage your students to think about our laws, the reasons they exist, and consequences for infractions through this activity. 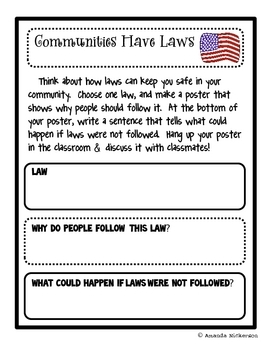 Use the planning sheet to help students prepare a poster about a particular law and why it's important to follow it.